Philippine President Benigno Aquino said Thursday he had splashed out on a luxury Porsche sportscar, sparking criticism in a country where a third of the population live on less than a dollar a day. "It appeared to be out of character. He had campaigned against luxury cars and here he is buying a Porsche," Milo Tanchuling, secretary general of the activist group Freedom from Debt Coalition, told AFP. "There is a danger that it will be viewed by many as a sign of extravagance and an unnecessary flaunting of wealth amid massive poverty." Local press cited a recent Aquino order banning government units from buying luxury cars as service vehicles. The 50-year-old bachelor said he sold his old BMW and took out a personal loan to buy the Porsche, which he said allowed him a relaxing drive amid his gargantuan responsibilities. "I was happy with the deal because its mileage was less than 10,000 kilometres," Aquino said of the pre-owned vehicle, which local news reports said was a white entry-level model worth 4.5 million pesos ($102,000). Aquino's spokesman, Edwin Lacierda, defended his boss, saying the car's value had depreciated substantially compared with a brand-new Porsche. "If it was not depreciated, the president wouldn't even buy it, wouldn't even consider it," Lacierda said. 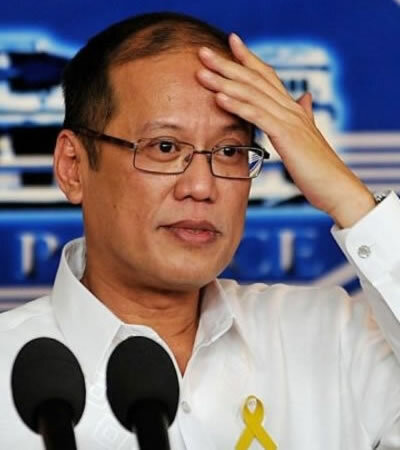 Aquino won a landslide victory in the May election last year on an anti-corruption pledge of clean government and an end to wasteful spending that he said was the cause of widespread poverty.